The ayahuasca experience has proven to be an extraordinary one. It has positively changed the lives of many people. It has cured various forms of depression and addiction. Ayahuasca has shown people the immense beauty of the cosmos and ourselves through overwhelmingly enchanting and emotional visions and visualizations. An experience capable of phenomena with such magnitude needs to be valued and respected for what it is. 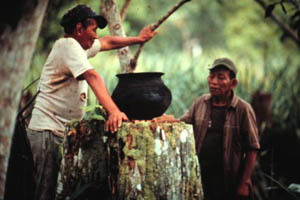 This means that part of drinking ayahuasca is the preparation. Everyone should find out what his or her preparation is, but in general it is recommended to read some of the common literature on ayahuasca and the psychedelic experience in general. Another thing it should involve for most people is discussing the topic with various experienced drinkers. You can also find a lot of information by taking Erowid, the best psychoactive substances website, as a starting point. Their ayahuasca page can be found here. Googling for ‘ayahuasca’ also gives good results for general orientation on the topic. Furthermore we are not in the position to do any more recommendations. Nevertheless we disrecommend to take ayahuasca without any preparation. 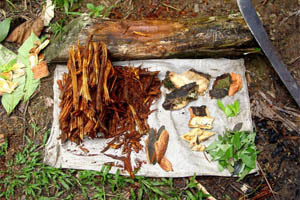 It is also strongly disrecommended to take ayahuasca without the presence of an experienced ayahuasca drinker who has experience with guiding too. You can get an idea of the risks involved by reading the experience reports on this site.